Cancer. Rarely can one word strike so much fear. We have come so far in both cancer prevention and cancer treatment; yet we also have so much farther to go before we can truly say we’ve triumphed over this massive beast. One major challenge is the cost of treating cancer. While much of that cost is due to the challenges of medical research, some companies are deliberately over-charging cancer patients and their insurance providers by billing for expensive and unnecessary services. The battle against cancer treatment fraud is yet another example of a front in which the False Claims Act can be a tool for justice and even a tool for health. As a health care fraud law firm, we partner with whistleblowers to fight these wrongs and ensure health care funds are available for true medical needs. 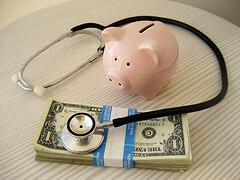 Earlier this Spring, the Department of Justice (“DOJ”) announced that 21st Century Oncology agreed to pay nearly $34.7 million to settle a False Claims Act lawsuit alleging they performed and billed federal health care agencies (e.g., Medicare, Tricare, Medicaid) for procedures that were not medically necessary. The underlying suit involved a procedure called the Gamma function which measures the exit dose radiating from an individual after radiation treatments. The government alleged that the company performed and billed for this procedure when it was not needed for any medically appropriate purpose. Additionally, the suit alleged that 21st Century billed for Gamma function treatments in cases where no physician reviewed the results in a timely manner and in cases where technical equipment failures meant no results could be obtained. The suit was originally brought by a former physicist with a Florida oncology company who filed the claims under the whistleblower or qui tam provisions of the False Claims Act and who will receive over $7 million for his role in the case. As the DOJ’s press release explains, providers can only bill for new technologies when they have been proven medically useful and when providers have been properly trained in the procedures. Principal Deputy Assistant Attorney General Benjamin Mizer, head of the DOJ’s Civil Division added: “Today’s settlement demonstrates our unwavering commitment to protect the Medicare trust fund against unscrupulous providers. Providers who waste taxpayer dollars by billing for unnecessary services, including services that are not used or improperly performed, will face serious consequences.” It is worth noting that 21st Century did not admit liability or wrongdoing as part of the settlement. In December, the DOJ notes, the company also settled another False Claims Act case alleging it billed for unnecessary urine tests and paid improper bonuses for $19.75 million. Treating cancer is expensive. Even eight years ago, U.S. News and World Report warned of skyrocketing Medicare costs for cancer patients, sharing a study that predicted costs would continue to climb as new and expensive drugs came into use. The study found that from 1991 to 2002 the average cost for lung cancer treatment climbed $7,139 to $39,891 per patient, the average cost for prostate cancer treatment climbed $5,345 to $41,134 per patient, and the average cost for breast cancer treatment climbed $4,189 to $20,964 per patient. We can only imagine how much farther these costs have climbed in the past decade (and note that there are many form of cancer that are even more expensive to treat). This makes it even more important to ensure limited healthcare funds are properly allocated. The False Claims Act is a tool for justice. It not only helps the government recovery wrongfully diverted funds, it helps ensure those funds are available for people who desperately need them. However, the False Claims Act only works when honest people step forward. If you have witnessed fraud on Medicare or another government health care program, call our health care fraud whistleblowers’ attorney at (800) 427-7020 to learn how you can make a difference.